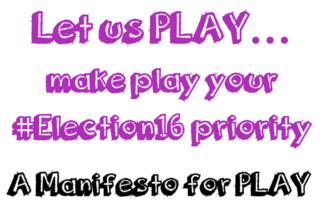 PlayBoard actively engage in a wide range of activities aimed at influencing government policy to better respond to the issues that impact on children and young people’s play. Through our policy work we aim to put play firmly on the agenda of policy makers and resource providers at regional and local government level. 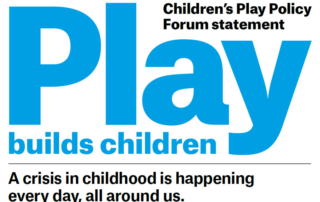 A core part of PlayBoard’s advocacy work is focused around raising awareness of the importance of play to the lives of children, young people, families and communities. 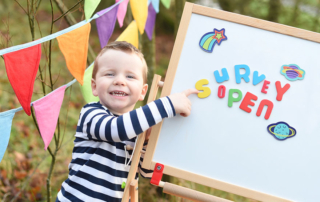 PlayBoard are wholly committed to raising the awareness of the importance of play to the lives of children, young people, families and communites. In doing this we focus much of our advocacy work on article 31 of the United Nations Convention on the Rights of the Child (UNCRC) – often referred to as the right to play. Our aim is to ensure that the implementation of article 31 is at the core of policy making at both central and local government, and that it becomes embedded within the psyche of parents, schools and communities. By proactively monitoring developments across government we seek to influence the policy development process, working to ensure that the policy arena effectively represents and promotes the right to play for children and young people across Northern Ireland. 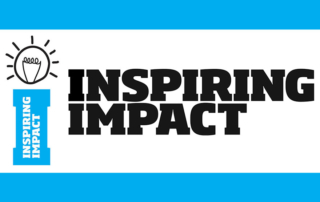 As part of our influencing work we develop focused campaigns aimed at promoting the right to play generally across society and specifically within direct areas of government delivery. We also support relevant campaigns developed by colleagues from across the children and young people’s sector. We both run campaigns and are supportive of other organisations’ campaigns, which seek to improve children and young people’s play experiences, rights and their lives. PlayBoard seek to influence government thinking and policy making by developing responses to relevant departmental consultations. 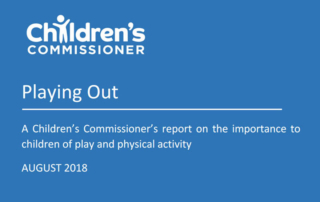 In responding to government consultations we consult with our members, liaise with the wider children and young people’s sector and listen to children and young people to identify those issues which most impact on the right to play, and to determine those issues which require focused lobbying in order to bring them to the attention of policy and decision makers. We actively respond to consultations in order to promote the play agenda and to hold government and other statutory bodies to account regarding their responsibility to listen to the voices of children and young people and to give their views due weight in the policy development process. Partnership working is a key aspect of our work within the policy arena. 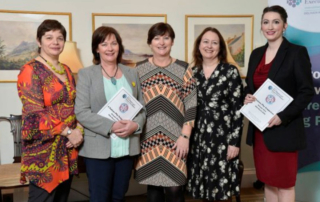 As members of key policy forums at Northern Ireland and UK level, some concerned specifically with play and some with wider children and young people’s issues, we are able to raise awareness of the child’s right to play and to place play and playwork on the agenda of other organisations. Through membership of such forums we benefit from other organisations’ perspectives on policy development, using these insights to inform our policy responses, guide how we participate in the policy development process and how we influence decision-making relating to the right to play. Supporting organisations to refine promising programmes and developing processes to help ensure that evidence-based programmes are delivered as intended, with fidelity to what makes them effective. Our work focuses on generating the data and evidence that decision-makers need in order to make informed decisions that will improve children’s outcomes. Alongside this an ethos of reflective practice underpins and informs a culture of stakeholder engagement in using and learning from evidence. PlayBoard’s research activity also focuses on the importance of play through children’s participation in decision making and involving children in the research process and children’s right-based research methods. 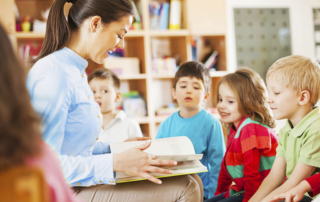 “All people, however young are entitled to be participants in their own lives, to influence what happens to them, to be involved in creating their own environments, to exercise choices and to have their views respected and valued” (Lansdown 2005). Participation is the process by which children and young people can influence decision-making which affects their lives to bring about positive change. Playboard supports children and young people to become strong, competent, social actors so that they can effectively participate in decisions that affect them, have their voices heard, valued and respected. We fundamentally believe that it is important for children and young people to have a say in the making of laws and policies, in designing and evaluating services and facilities that will affect them. We have developed and trained a group of children and young people to become peer researchers who have effectively conducted their own research in relation to their right to play (General Comment 17, UNCRC). We have also actively consulted with children to have their say on a number of policy strategies such as Towards a Childcare Strategy and The Children and Young People’s Strategy.